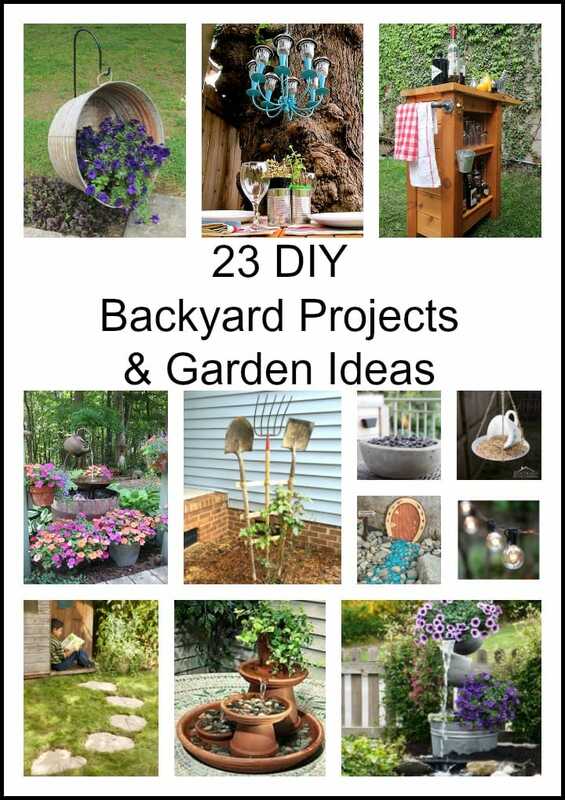 The backyard can become a gorgeous living area with these DIY Backyard projects. These ideas can bring peace and serenity to your patio or garden area and will make it a place you will not wish to leave. 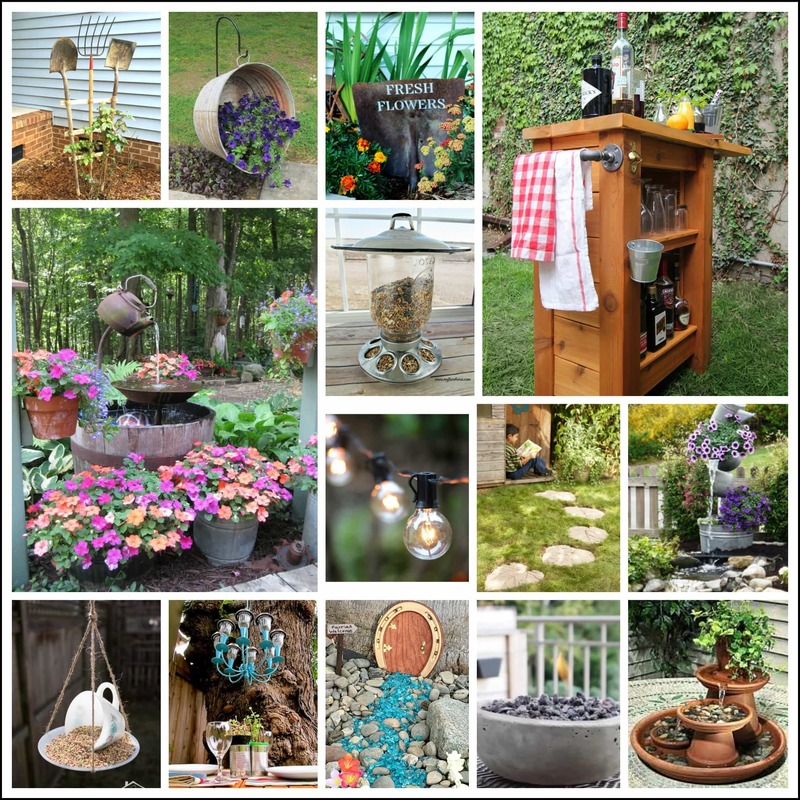 When the weather is nice we love being outside and we enjoy decorating our patio and backyard with items and features that bring us pleasure. Just hearing a bubbling fountain or seeing an artful grouping of flowers brings peace into our lives. And it’s also nice to have items on the patio or around the backyard that make it easier to entertain friends and family. Items such as a mobile bar, BBQ side table, and unique garden decor makes this outside space a welcome retreat. 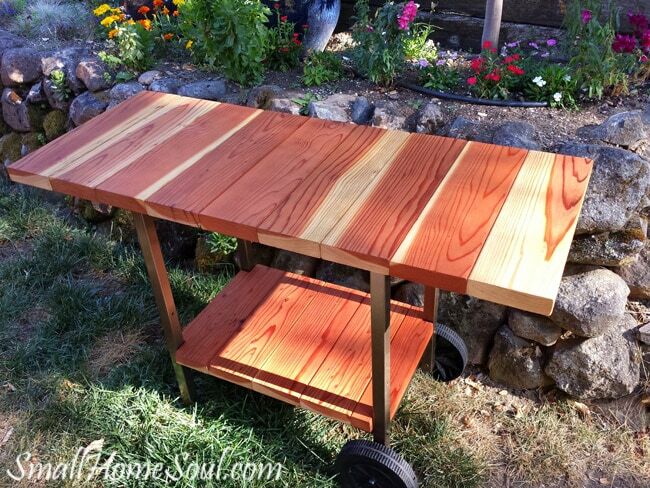 This Patio Cart from an Old BBQ is a lovely way to recycle that frame after the grill has cooked its last burger. 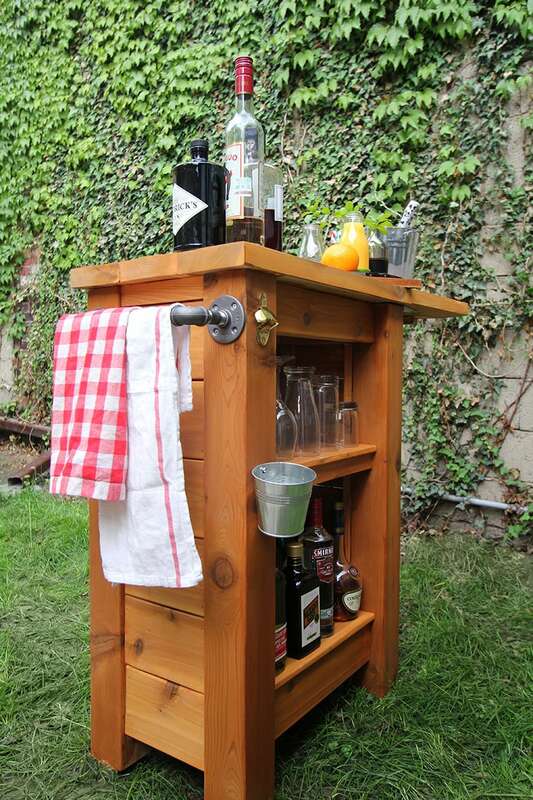 This cart would be nice not only as a prep station for your next cookout but also it could double as a drink station. 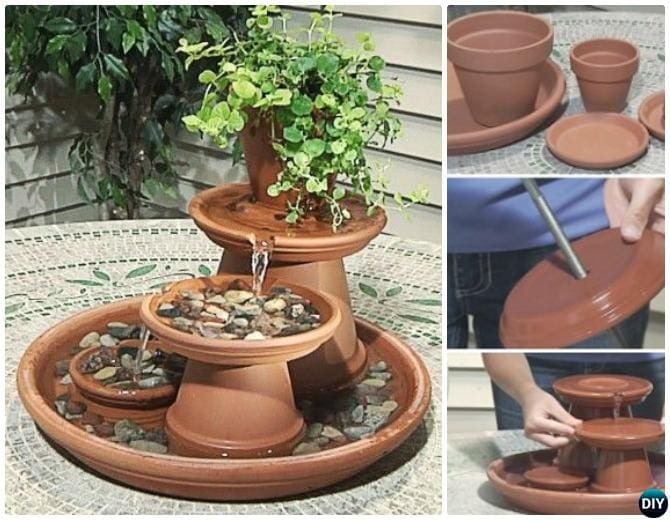 We love this Terra Cotta Fountain which can be made from a few terracotta or clay flower pots. The peace and serenity of tiny waterfalls are always welcome in our backyard. Enjoy your backyard space or patio at night by adding string lights like these from Amazon. Each string is 25 feet long with 25 clear bulbs and is connectable. 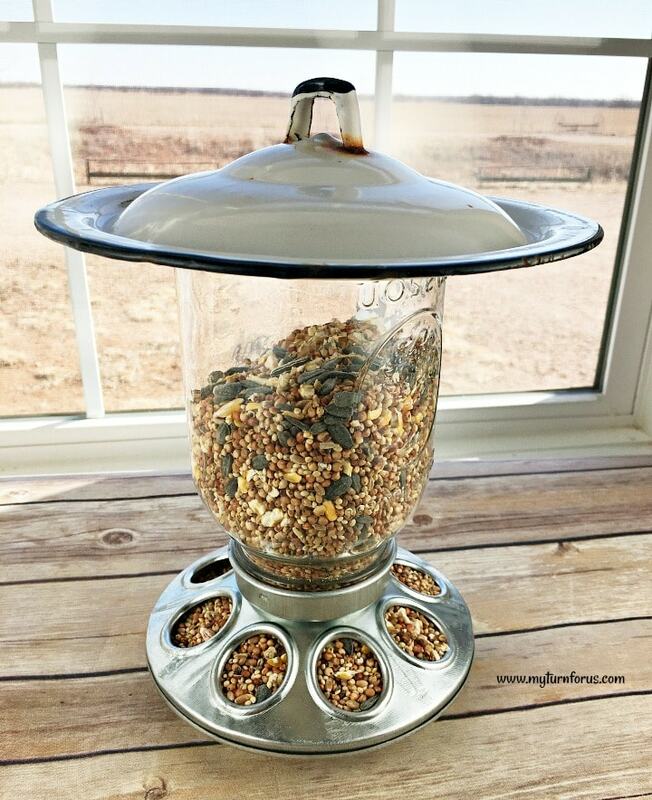 This DIY Unique Mason Jar Bird Feeder is one of our bird’s favorite buffet spots in our backyard. And it is always nice to sit outside and see how many different varieties of birds come to dine each day. These Terracotta Turtles are adorable. We searched high and low over the internet to find the creator but failed. Unfortunately, it appears that the website doesn’t exist anymore. But we believe they are made from a terracotta saucer, four little terracotta pots and a wooden ball as the head. 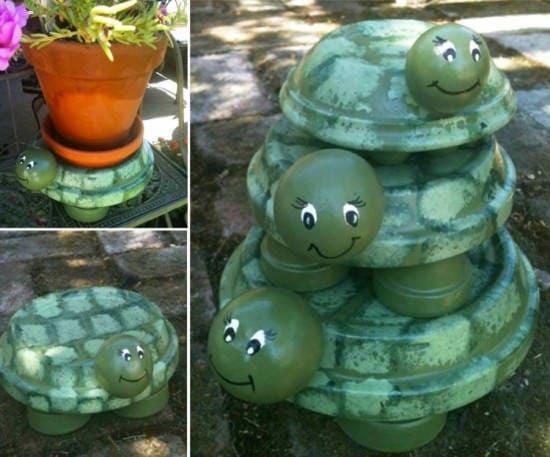 And these turtles with the adorable painted eyes and shell would make anyone’s backyard a sweeter place. 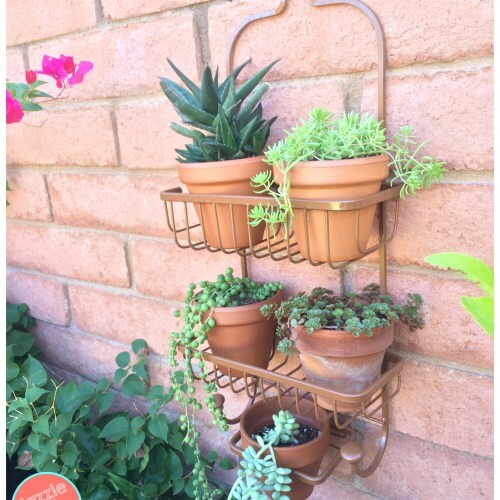 Also the simplest item can become something that is amazing like this Vertical Planter from a Shower Caddy. This is a great way to display all our cute little clay planters and it would be lovely hung outside the kitchen door as a mini herb garden. This Decorative Garden Path is made using large plant leaves and powered cement mix. And it is something we would love to try. 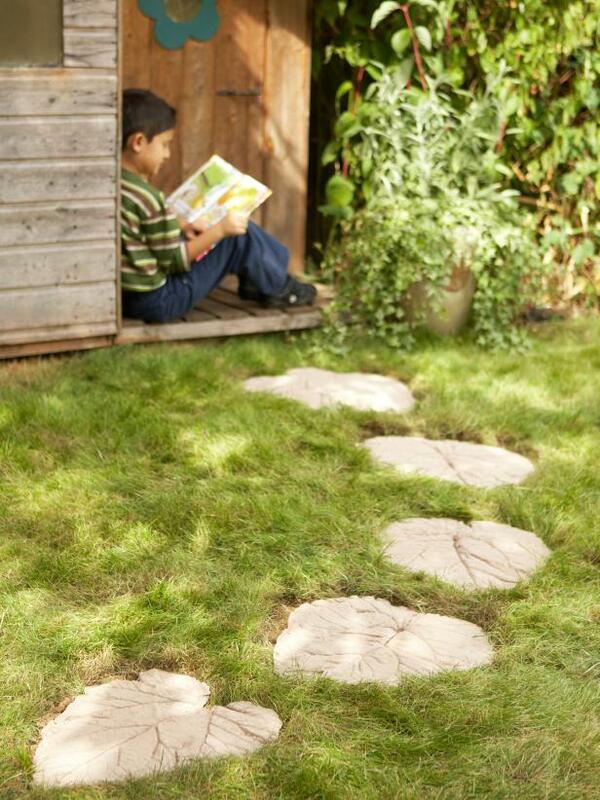 We can think of some many places around the backyard and garden for these lovely cement leaf stepping stones. 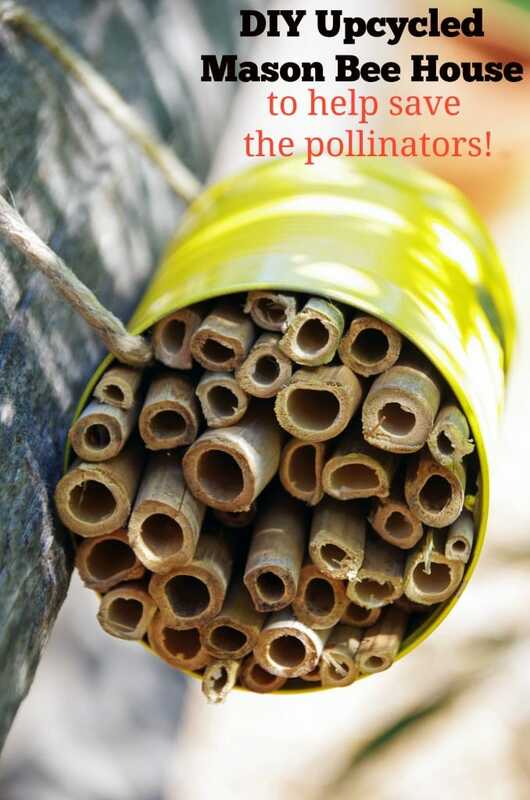 Mason bees are a great addition to your garden to improve pollination. They are solitary bees and do not produce honey nor beeswax and are docile and rarely sting. But if they do the sting is not painful since their stinger does not have a barb. Making this DIY Mason Bee House to attract Mason bees is an easy project and it allows a place for the Mason Bee to lay her eggs. 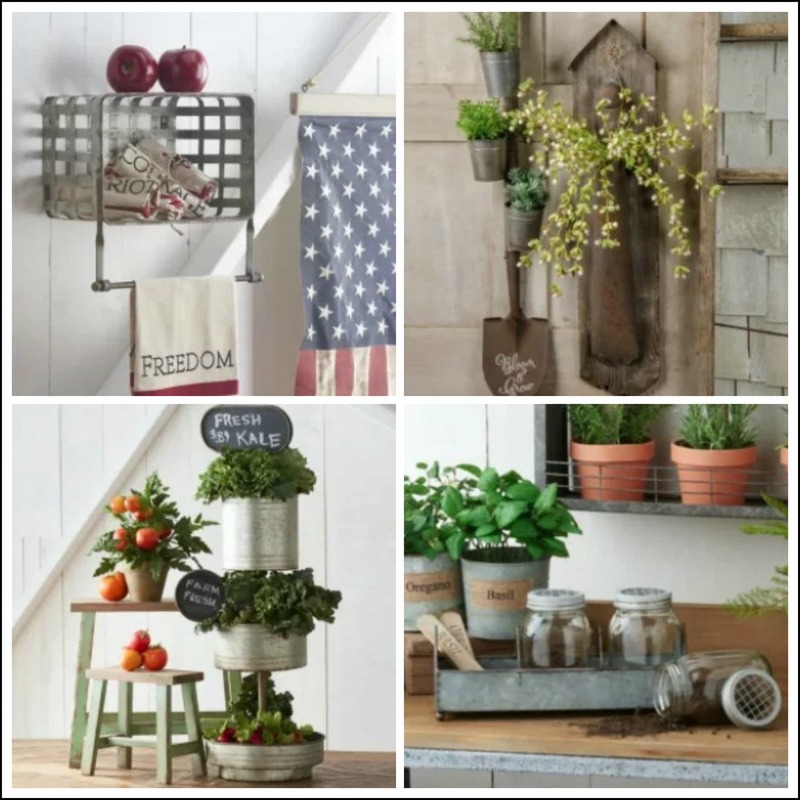 We love DIY backyard projects with these cute pieces from Antique Farmhouse. These sweet items are from their Country Estate Event. 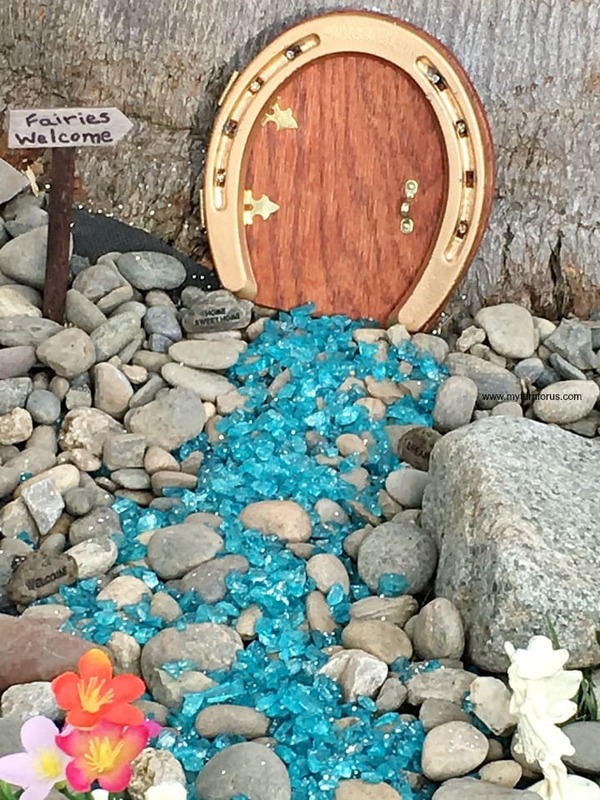 What is outdoor sanctuary complete without a Fairy House? This sweet Fairy Door is made from a gold-painted horseshoe and becomes the focal point for a little whimsey near one of the trees. Our granddaughters can sit for hours waiting and watch for the fairies to come out to play. 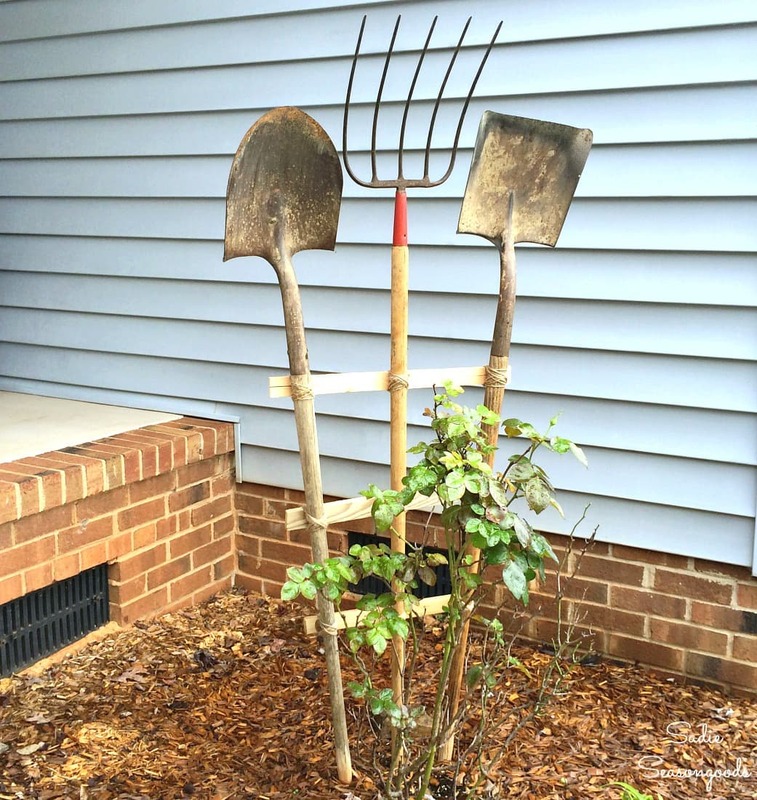 This Trellis from Garden Tools is an eye-catching way to not only recycle a few old garden tools but to give those climbing roses or morning glories a place to thrive. And we can think of several places in our garden where this trellis would come in handy. I’ve always wanted a little fire pit as a centerpiece on our patio table. And this DIY Gel Fire Pit is easy to make and is a safe way to enjoy a little extra ambiance in the backyard. 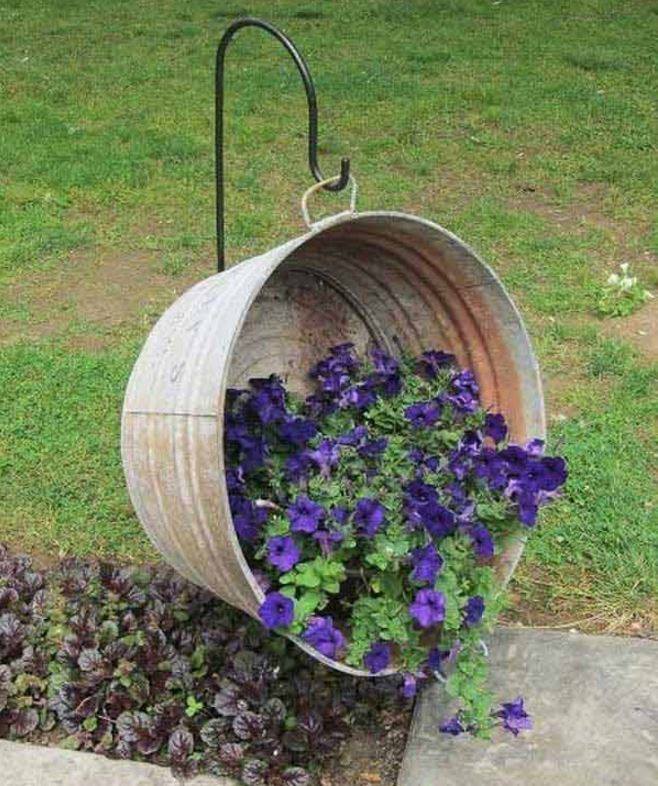 I am in love with this Galvanized Garden Tipsy Pot! It just talks to my inner soul, something about the unbelievable stacking of the metal buckets and pots. 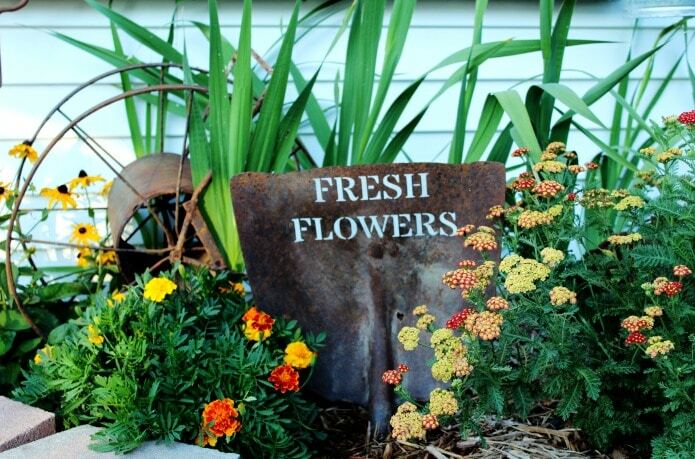 And this backyard project makes a gorgeous focal point for any garden or backyard. 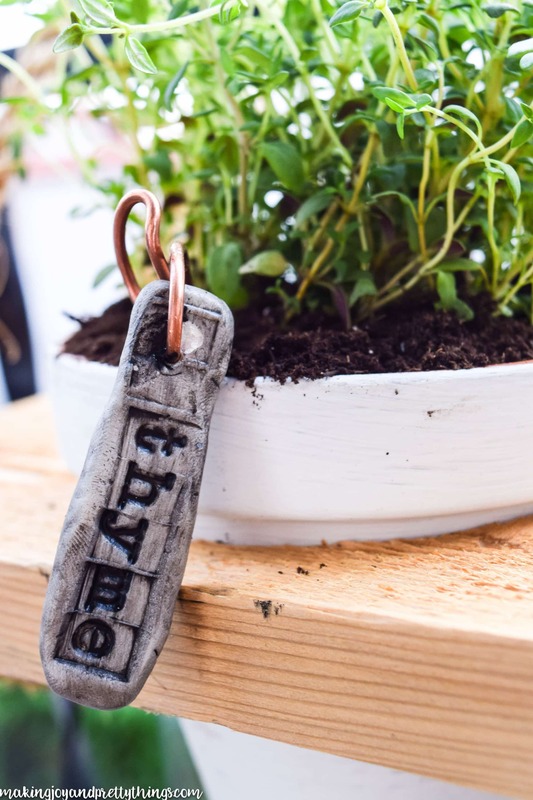 There is something about the imperfections of these cute DIY Garden Herb Markers that delights me. They look like pieces of stone with etched letters. And I so love the randomness of the coiled copper wire and how each herb marker is unique. 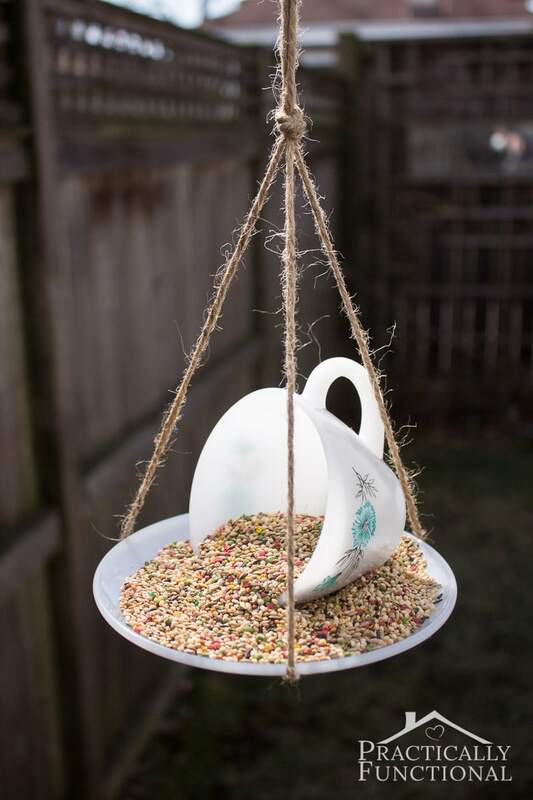 There is something special about this Teacup Bird Feeder. It’s so appealing in its simplicity and is easy to make. And I’m sure we all have a vintage cup and saucer that would be gorgeous hanging outside in a tree or off the patio. This Farmhouse style planter is another project that we were unable to locate the creator. But we just had to include it in our backyard projects. A spill of petunias look darling growing in the old washtub and would be lovely in any yard. Sometimes a little metal artwork in a backyard or garden is a welcome addition. 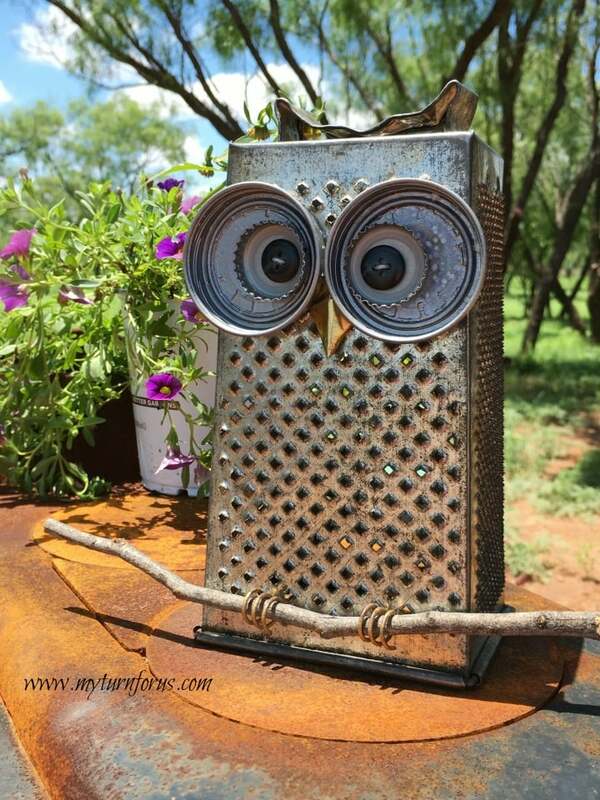 We made this cute Kitchen Grater Owl from an old kitchen grater and a few upcycled items. And He looks adorable perched on our old antique cast iron stove near the south patio. We think that bringing an inside look to the outside is a classic way to upscale a backyard retreat. 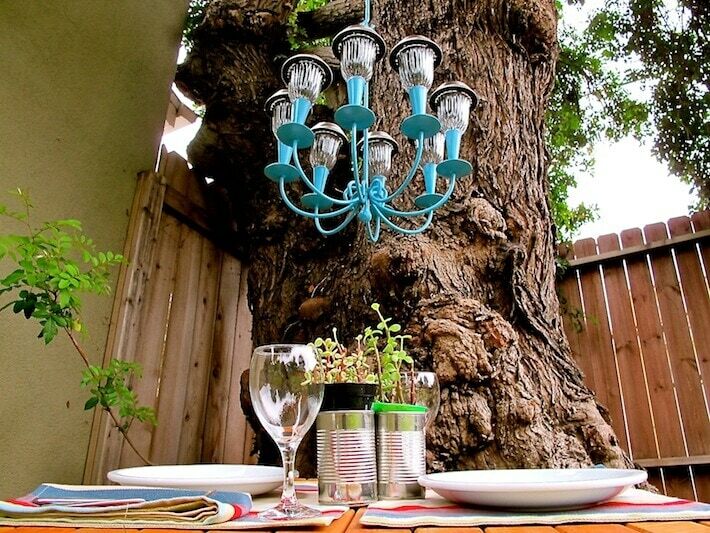 This upcycled Solar Light Chandelier brings not only light but a certain classiness to an outside dining area. We love this vintage Rusty Old Shovel Flower Sign in the colorful flower bed and it’s sure to add a touch of rustic farmhouse style. 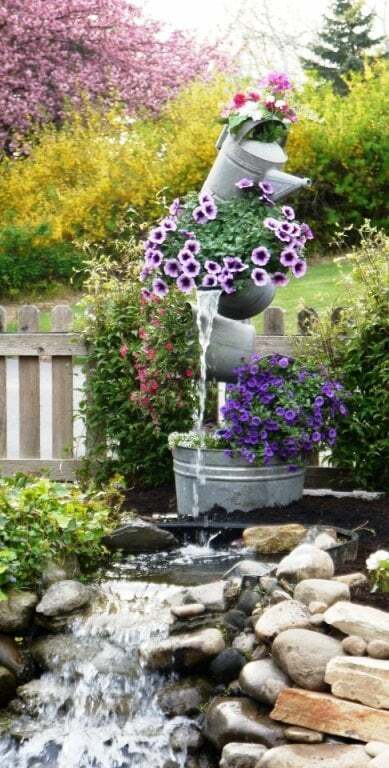 We have a vintage teapot that we would love to use to make this Teapot Fountain. 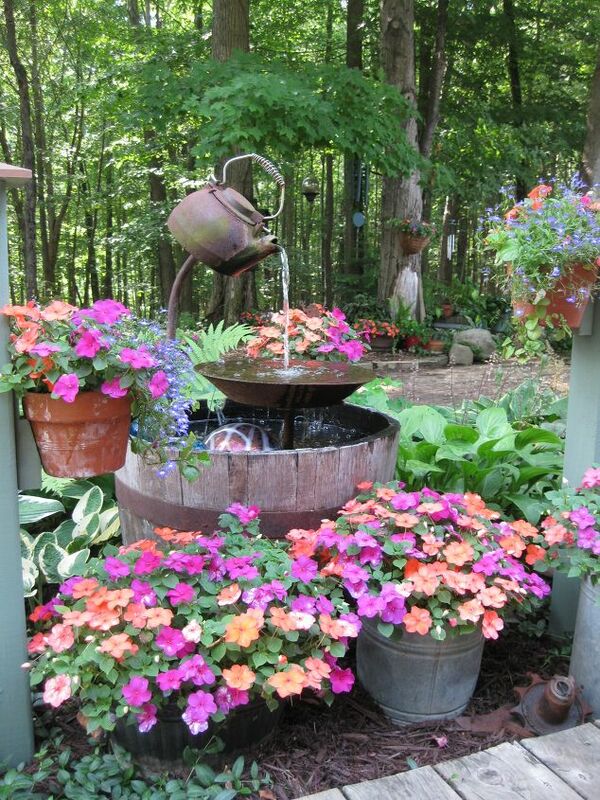 But the entire area with the buckets and pots of flowers surrounding the whiskey barrel is so doable for us. And I think I have the perfect place picked out in our backyard. 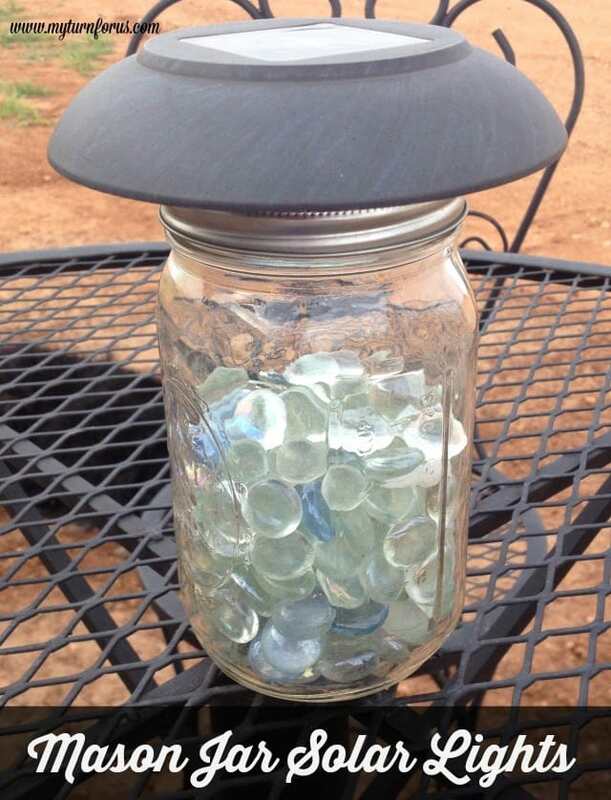 We made these Mason Jar Solar Lights and have several sitting on tables around the yard. They are trouble free and not to mention they maintain themselves charging by day and lighting up the night. 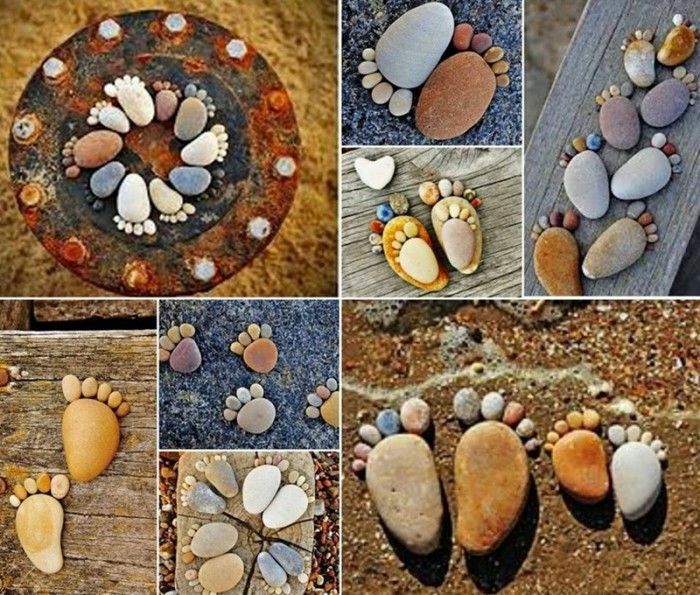 This Creative Stone Footprints by Scottish Photography Iain Blake would add a touch of whimsy to any flower garden. But of course, we would have to make several especially little ones in our fairy garden. This is one of the simplest but one of the most appealing of our backyard projects. Now its time to share your gorgeous backyard and garden area by entertaining a few of your friends with a DIY Outdoor Bar. And this multitasking bar has a dropleaf top which saves space when stored and can also double as a bbq prep table. Mounted on the side is a towel rack made from a galvanized pipe that can be used to hold bbq tools. And a bottle opener is installed on the back with a little bucket mounted below it to catch the lids. These are terrific ideas Evelyn! Thanks so much for sharing them! Thanks, Shelly! I have fun with them.